Elia Viviani has taken a second victory in the 2018 Giro d'Italia, at the third stage of the race. The rider of Quick-Step Floors was the fastest at the final sprint. The riders faced a 229-kilometre rolling course on the third day of racing of the Italian grand tour. The escape of the day was formed by Marco Frapporti (Androni Giocattoli), Enrico Barbin (Bardiani CSF) and Guillaume Boivin (Israel Cycling Academy) during the first kilometre of the stage and took a lead of more than six minutes on the peloton. 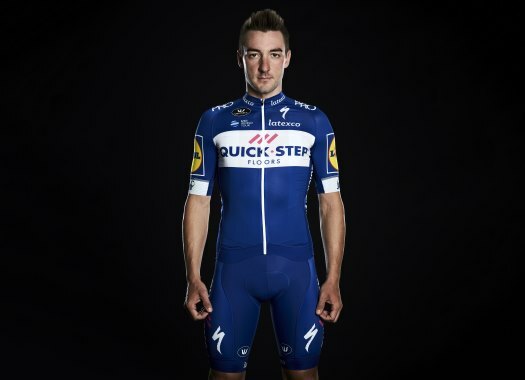 The winner of the second stage, Elia Viviani (Quick-Step Floors) took some points in the intermediate sprints of the day and that allowed him to keep the Ciclamino jersey of the points leader for another day. With six kilometres to go, the escapees were reeled back in while the teams organised themselves to face a fast finale. Quick-Step took control of the pace in the final kilometres with the objective of getting a new victory for Viviani. The team did a good job by putting the Italian in a good position and once more the others couldn't compete with his strength. Despite the chaotic final, Viviani took the victory ahead of Sacha Modolo (EF Education First) and Sam Bennett (Bora-hansgrohe). BMC Racing Team's Rohan Dennis remains in first place in the overall standings after safely finishing in the pack.